Traveling in the Flathead Valley of Montana some years ago, I stopped to visit the charming Ninepipes Museum near Ronan. Somewhere between the photographs, artifacts, weaponry, old tools, and some paintings of Charles Russel, my attention was drawn by the display of a letter sent in 1947 from Mardeuil, in the Champagne region of France. It was addressed to the parents of an American pilot who had died there on June 22, 1944. 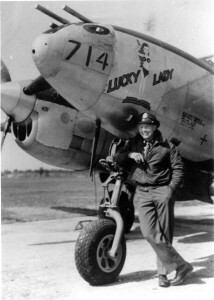 His name was LeRoy Lutz, and he had sacrificed his life by deciding to steer his P-38 Lightning plane away from a house he would certainly have destroyed had he bailed out a few seconds earlier. On leaving the museum in Ninepipes, as I drove through the broad valley, surrounded on either side by the Rocky Mountains, I could not help thinking of that young pilot whot had left his family, this magnificent landscape, and a world at peace to enlist as a volunteer and go to risk his life on the other side of the ocean in a conflict which only indirectly threatened his country, the United States. Could it be the beginning of a story, a hook for a novel ? The question went round and round in my head, but lead nowhere. It needed something to trigger it. And that something came to me several years later in the form of another question : what if someone, in the present day, inherited the house the aviator had spared, and found out what had happend, which would signify a particular connection through time and space with that particular pilot ? And with that I knew I had found my story. Hélène Marchal, my narrator, discovers that her mother, aged 4 at the time, was in the house. She owns this pilot her life ! She decides to go to Montana to investigate and piece his life together. Apart from the circumstances in which my hero, John Philip Garreau, dies (exactly similar to those in LeRoy Lutz’s fatality), there is nothing in common between the two of them in The Legend of Little Eagle, a fiction in the WWII/aviation category. But there are particular connections, through time and space, between this story and the historic facts. Some time after publishing my novel, I found the phone number of André Mathy, a man from Mardeuil who – then 13 years old – had eyewitnessed Lutz’s plane crash, and who later spent decades trying to locate Lutz’s family. The day after the crash, Mathy had borrowed some tools from his uncle (or grandfather), who was a blacksmith, and removed the painting illustrating the name of the plane from its fuselage. He gave it back to Richard Lutz when he came to France. Mathy, aged 82 when I called him, was moved that I had found in Montana a letter he knew was written by a Mardeuil municipality officer. In between, I had returned to Montana to do research in the archives department of the University of Missoula, and in Browning on the Blackfeet reservation, my hero being a very young Indian with a passion for flying who becomes a triple ace before dying the way Le Roy Lutz did. As to Arnold Helding, he died in Montana in 2007 at age 92. Had I known then who he was and that he was alive, I could have met him there in Arlee, not far from the Ninepipes Museum. He lives on in my novel under the name of Harold Holding, a retired and USA Air Force that my narrator, Hélène Marchal, finds in Great Falls, a precious source when it comes to piece together the life of John Philip Garreau. I’ve always loved planes but I’ve never been an aviation buff before undertaking this novel. Now I am filled with admiration for all those US airmen who volunteered (yes, volunteered !) to fight in order to free Europe from Nazism. And I find it wonderful, as I see my novel as a tribute to these young men, that fiction can meet history and revive it. A few French bloggers, like this one and this one have taken interest in The Legend of Little Eagle and written about LeRoy Lutz. Which proves that I was right in quoting William Kittredge, a Montana writer, on the meaning and importance of stories – why we need them, why they are important to us. A story is something which connects, which enlightens. It can also, sometimes, be a source of healing. The Legend of Little Eagle was written and previously published in French under the title La légende de Little Eagle. It was translated into English by Alison Anderson. This novel is available as an ebook on the major digital bookstores and as a paperback on Amazon. Florian Rochat is a French mother tongued journalist and writer living on the foothills of the Jura mountains in western Switzerland. A nature lover and a dog owner, he is fond of hiking and cross country skiing. As an author, he has published two books traditionaly: La Saga du boulot (an oral history of working in France, out of print) and Cougar Corridor (a novel set in Montana about the sometimes conflictual cohabitation between people and mountain lions). Following The Legend of Little Eagle, he selfpublished Un printemps sans chien, about his relationship with his dog. His website. Ce contenu a été publié dans Aviation et pilotes, The Legend of Little Eagle, Tout le blog, avec comme mot(s)-clé(s) Aviation Pilot Air combat WWII USA France England US Air Force The Legend of Little Eagle Novel History. Vous pouvez le mettre en favoris avec ce permalien.